Backing up is an essential task that all computer users need to perform, but unfortunately, most of us are too forgetful, busy or lazy to do it. Online backup services are a great alternative for anyone who wants an easy way to safeguard their important files. Symform is a provider that stands out in the world of online backup services, thanks to its unique approach to storage. We’ll take a look at what makes Symform different from other options in this review. 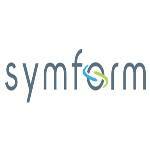 Symform is a successful venture-funded startup based in Seattle, Washington. Last year, it was acquired by Quantum Corporation and its creative could storage solution continues getting a lot of attention from users and industry experts. One of the main appeals of Symfom is that it offers free cloud storage space to anyone who contributes unused space on their local or external hard drive. This innovative distributed storage model makes Symform particularly attractive for users who want an affordable, or even better, free solution to preserve their files. Symform is compatible with Windows, Mac, Linux and it also offers mobile apps for Android and iOS. When you contribute excess hard drive space in your computer, you can get half of the amount contributed as free cloud storage. Let’s say that you allow Symform to use 500GB on your hard drive to store other users’ files, that means that you would get 250GB of free cloud storage space. By offering this peer-to-peer storage system, Symform can provide a free service since the files are not stored in data centers, but across the computers that have contributed storage space. If you have a device that you don’t use at all, you can contribute its entire storage space. This would entitle you to free unlimited cloud storage. There are also paid plans for users who don’t want to give up hard drive space on their computers. While Symform’s P2P storage model allows users to backup their data for free, the premium plans are not exactly the cheapest options available, but they are still a good option if you want a top cloud storage option. The prices start at $10 per month for 100GB and you can save money by paying for a full year in advance as the cost would be $100. For 200GB, you pay $20 per month, or $200 per year. The annual cost of 500GB of storage is $500, or you can pay $50 per month. Finally, there is a 1TB plan that costs $100 per month, or $1000 per year. All plans allow you to backup as many devices as you want and there is no bandwidth throttling. Installing Symform and signing up for an account only takes a few minutes and once you have named your device, you can start adding folders to synchronize to your account. You can synchronize any folder on your computer, which is an option that is not available with the majority of cloud storage providers. It is possible to add network folders, even those that are password protected. During the set up, Symform will ask you if your wish to contribute to get free cloud storage. You can select the amount you prefer in the Advanced options. You also have the possibility of choosing the location where other users would store their data. In the Sync folders tab, you can synchronize files to your other computers and to the cloud to ensure that you can access them using the web version, as well as the mobile apps. Unlike traditional cloud storage and backup services, Symform doesn’t rely on a few data centers to safeguard your data and instead, it users other computers connected to the service and that have contributed excess storage. Other providers work with Amazon S3, or use their own infrastructure, but Symform offers a P2P cloud service that allows users to store their files on someone else’s hard drive. Although this method reduce costs for the company, which results in free storage space for users, it raises concerns about the security of your data. Many people will not feel comfortable with the idea of storing their files on a stranger’s computer. However, Symform applies security measures that can guarantee that your data remains private. All your files are encrypted using 256-bit AES and broken down into small data blocks. These blocks are fragmented into 64 encrypted parts and then sent to each data blocks across 96 different devices in the network of computers connected to Symform. The index and the encryption key used are kept on your computer. Symform’s system is designed to be even more reliable than a regular data center since the data is not stored in a central location. Even if a computer storing your data fails, you will still be able to retrieve all your files because Symform will automatically regenerate any missing fragments and then relocates them to other active devices. The security side is covered, but another concern amongst those who are considering Symform as a storage and backup solution is data allowance. Most ISPs apply a monthly data limit and users who contribute a high amount of space in their hard drive may be affected when you upload and download data to and from other users in the Symform network. However, Symform claims that in order to avoid using up the data limit of large storage contributors, bandwidth is capped at 1Mbps for uploads and 2Mbps for downloads for each TB of hard drive space contributed. This should mean that Symform would only use up to 20% of your allowance, although this only refers to data stored for other users and not what you upload to the Symform cloud. Additionally, Symform uses a system to rate the availability and performance of a device connected to the network. If a device that is contributing space is disconnected for long periods of time, the cloud storage credit that was granted, will be suspended. This encourages users to ensure that their contributing devices remain online. Symform states that short periods of disconnection caused by power outrages an other instances, would not affect the health rate of a computer, or the performance of the system. One of the current downsides of the Symform sustem is that it doesn’t support file versioning. You will only be able to recover the most recent version of a file. While Symform is planning to add this feature in the near future, the lack of it affects the functionality of the service at the moment. Symform’s website includes a FAQ section where you can find detailed information about the service and the way their P2P storage solution works. There is also a Community and Knowledge base that offers the possibility of finding information about most topics, as well as help from other Symform users. You can also submit a request for additional support. Symform offers a different approach in cloud storage and its peer-to-peer service is unique in the industry. The fact that you can store your data in the cloud without having to pay, makes Symform a very attractive solution. Although Symform addresses security concerns with its top encryption solution, its backup system is not perfect and it requires that all contributing devices remain online and accessible. Still, its storage technology provides better redundancy than most traditional storage services, ensuring that you can retrieve your data whenever needed.